4ballUSA™ is 4-on-4, full-court basketball. Run and Gun! Speed up the game! I'm so sick of watching basketball players run from 3-point line to 3-point line. It's boring! I hate it! What I loved about basketball was running and gunning. There was nothing better or more beautiful than fast break basketball. Now all they do is run 3 point line to 3 point line and bore the heck out of me! Yes, I'm watching these NBA playoffs and sometimes I just can't stand it. Yes, with the talent level we have today It's horrible the way the game is being played. These players today can all handle the ball. They are phenomenally talented. They can run full court, basket to basket, non-stop they have such great endurance. Yes but the game shackles them. Absolutely. It's all about mathematics. All we need to do is change the game enough so that these great athletes can make 70% of their 2-point shots. that would suddenly make it worthwhile too fast break all the time! We would see non-stop dunks! The players would be constantly running and gunning. There would be 10 times more highlights, maybe 100 times more highlights! We play four on four full court! Suddenly the players will have the room to run and gun all the time. The players will have the room to fast break all the time. Basketball will be more exciting again. There will be more highlights again. Basketball will be beautiful! Copyright (c) 2019 Bradley R. Hennenfent, MD. All rights reserved. This is an ongoing script and treatment for 4 on 4 full court basketball in all media, 3 on 3 full court basketball in all media, 2 on 2 full court basketball in all media, and one-on-one full court basketball in all media. These great players can't run and gun because they need to be playing four on four instead of five on five. They need space to run and gun. The opportunity is there for entrepreneurial former basketball players to start television shows, streaming video, etcetera about 4 on 4 full court with basketball players that are constantly flying down the court. We need dunks, ally oops, fast breaks, and speed again. We need high-scoring games! Copyright (c) 2019 Bradley R. Hennenfent, MD. All rights reserved. This is an ongoing script and treatment. In the final four, Virginia beat Auburn 63 - 62. Texas Tech beat Michigan State 61 - 51. In that NCAA Final Four, I saw some of the greatest athletes in the world play two of the most boring basketball games ever. Neither team scored over 63 points. The scoring was historically low. Basketball is broken! And the math clearly says so. Most importantly, those great athletes could have played a far more enjoyable and entertaining game! Explain yourself, without boring the heck out of us! It's simple! What do I love about basketball? It's the fast breaks. It's the running and gunning! It's the full court, high-speed, game with spectacular passes ending with amazing dunks. It's the high scoring high flying basketball of my youth. It makes me sick seeing great athletes standing around and passing the ball around the 3-point line. Snoozer! Actually I agree with you. The first 38 minutes of the first game were boring. The last two minutes were finally great. It was the same with the second game. There were a few good minutes but the rest of the time it was all a defensive clamp down. Where's the offense? The solution is ridiculously easy. Play 4-on-4 full court basketball. Yes, 4on4Ball(TM) would let great players play great wide open games and score over 100 points every game. Run and gun! Bring back the magic! This Gonzaga versus Texas tech NCAA basketball tournament game is a great example of why we need four on four full court. Because these are two great teams, yet, it's only 37-35 at halftime. There are 10 great players on the floor. If there were only eight players, four on four full court, this would be a rim-rattling full court fast break game. There would be astonishing offense. There would be fast break after fast break and dunk after dunk. We need to fix basketball by going to 4 on 4 full court. Four on 4 full court basketball will bring back the fast break, the most exciting thing about basketball. It's all about the mathematics. Then comes 3 on 3 full court, 2 on 2 full court, and 1 on 1 full court. Copyright (c) Bradley Hennenfent, MD. All rights reserved. I'm watching James Harden play right now as the Houston rockets are playing the Milwaukee Bucks. James Harden is spectacular. He looks like the best one-on-one player in the NBA. But he could be better. I suspect the reason Daryl Morey obtained James Harden was because of his basketball statistics. James Harden is often the best at what he does, shoot layups, or shoot 3-pointers. And, he almost never shoots a mid-range shot which is only worth two points and is a relatively low percentage shot. But James Harden would be much better if he was playing four-on-four full court instead of five-on-five. when James Harden finishes with the NBA he needs to get other players together and start a four-on-four full-court basketball league by licensing the copyright to this ongoing treatment and script for TV shows and all other media, whether it is for reality shows, scripted shows, non-scripted shows, etc. Unleash the talent of these exceptional basketball players with less defense against them! Mathematically it would be fantastic. Once again we would have full court basketball with non-stop run-and-gun style. Where has the fastbreak gone? It died with the three-point line. Yes, today I watched sports commentators talk about the Rooney rule and how players are not becoming coaches, managers, and owners. Here is a way that current players and retired players could become coaches, managers, and owners of a whole new league! Or a TV show or a TV series or tournaments. There could be a style of basketball with far more dunks, fast breaks, and alley oops than ever before in history. It's all about four-on-four full-court, 3 on 3 full court, 2 on 2 full court, and one on one full court. A talented basketball player, or any interested person, just needs to become an entrepreneur to change the world of basketball forever. I hear that a fourth professional football league is starting up with Ricky Williams and 50 other former players behind it. It's going to be called the Freedom Football league. That's great! Finally, football players are showing some entrepreneurial spirit. What professional athletes don't realize is that their single best chance of taking over a league, becoming owners, and finally being in charge, is starting a new 4-on-4 full-court basketball league. You can't patent four-on-four full-court basketball, according to the attorneys I have talked to, so I have copyrighted the treatment, the script, and so on and so forth for 4-on-4 full-court basketball for any and all mediums. Imagine the reality TV shows, the scripted TV shows, the games, the tournaments, and everything else that can come out of this continuing script and treatment. The YouTube videos! The highlights! Yes, and the important thing is that you can use the exact same infrastructure already in place for 5-on-5 full-court, but you will be able to change basketball from being the slow lollygagging game of running from 3-point line to 3-point line to being full-court fast-break again! When it is only 4-on-4, players like LeBron James could dominate totally. The game would be all about running, gunning, dunking, lobs, and be flat out sprinting all the time. It would be a return to Showtime, Phi Slama Jama(R), and Dr. J time again. Basketball would be spectacular and full of highlights again. Bye bye NBA. Yes, a 4-on-4 league could eclipse the NBA in no time, and do so world wide. Fans could participate as the reporters using their smart phones. It would even work for 3-on-3 full court, 2-on-2 full court, and 1-on-1 full court "death matches." It's all about math, and we have figured the math out! Copyright (c) 2018. Bradley R. Hennenfent, M.D. All rights reserved. Basketball can be fixed! The thing that we really love is run and gun basketball. It's running and gunning and dunking! It's fast breaking all the time. Those things have all disappeared because of the three-point line. The answer is so simple! Start playing 4-on-4 full court basketball. Make more room for today's giant great players to drive to the basket. That's what will make the game exciting and full court again. Mathematically, it will be worth it to drive to the hoop again. Today's super talented basketball players are being held back. Basketball players today are astonishingly good. They can all handle the ball no matter how big and tall they are. I agree with you totally! Today's basketball players can all play up-tempo basketball. Today's basketball players are flashier than ever before. We need to put style and flare back in basketball! The secret is to play 4 on 4 full court. That's what will make the game's great again. That's what will bring back the excitement and showmanship of the former ABA, the American Basketball Association. Improving basketball can be done. The answer is sitting within geometry and mathematics. Sooner or later 4 on 4 full court basketball will happen because it's a better game. This is part of the ongoing treatment and script for 4-on-4 full court basketball for any athletic or entertainment medium. This game between the Dallas Mavericks and the Atlanta Hawks is boring as all get-out. Yes. It's unbelievable. All they are doing is going three point line to three point line and chucking the ball. The Dallas Mavericks have Luka Doncic. The Atlanta Hawks have Trae Young. These guys could Run and Gun! You could probably take the last four players on each of these two benches and play 4-on-4 full court and have spectacular games full of dunks, fast breaks, blocks against the backboards, and non stop running and gunning! Instead we are watching boring three-point clunking all the time! The math no longer adds up for 5-on-5 full court. It requires three point shots all the time. 4-on-4 full court would be a fantastic game, an entertaining game. A much better game! Basketball is boring. However, basketball can be fixed. This is my ongoing treatment for a television show, TV series, or any form of entertainment. 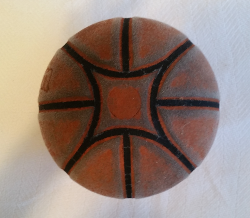 Basketball can be fixed with mathematics. The ideal basketball game consists of running and gunning! There are lots of dunks, lobs, and running basket to basket. Great basketball is fast break basketball. The problem today is that the players are too big and the courts are too small. It makes no sense to make all the basketball courts bigger. That would be prohibitively expensive. What does make sense, is to play 4-on-4 full court instead of 5-on-5 full court. With 4-on-4 full court it will be Phi Slamma Jamma again! there will be many more highlights, and basketball games will be much more exciting. It's all about mathematics. Sabermetrics revolutionized baseball. Now it's time to revolutionize basketball. Note that Phi Slama Jama(R) is a registered trademark. What if LeBron James retired from the NBA? What if he started a reality television show? What if he started a brand new basketball league that played better basketball? What if LeBron James started 4-on-4 full court basketball, which would restore fast break basketball to dominance around the world? NBA stars like LeBron James have the power to change the world. We could have Showtime basketball again! We could have Phi Slama Jama(tm) basketball again! LeBron James should retire from the NBA! He should take his talents to starting a new 4-on-4 full court basketball league and TV Show. Yes, the NBA is ridiculously boring! These playoffs are of shining example. We had to watch 37 missed three point shots during the Houston Rockets vs. Golden State Warriors game. Clank! Clank! Clank! There is no full-court fast break basketball anymore, there are no real highlights anymore. LeBron James could do a television show/series about 4-on-4 basketball, could play 4-on-4 basketball games, tournaments, could create an entire 4-on-4 basketball league, and could dominate basketball for another decade. LeBron James and other players could be owners in a new 4-on-4 basketball league that would be better than the NBA because it would have more highlights. Clank! Clank! Clank! Clank! Clank! Clank! Clank! Clank! Clank! Clank! Clank! Clank! Clank! Clank! Clank! Clank! Clank! Clank! Clank! Clank! Clank! Clank! Clank! Clank! Clank! Clank! Clank! Clank! Clank! Clank! Clank! Clank! Clank! Clank! Clank! Clank! Clank! The 4-on-4, full-court basketball league will need play-by-play announcers and sportscasters. We want two or three people who are often in conflict with each other. People who often have different opinions on the same sports topics. I have an outside the box idea. One way to get such people, would be to go to eHarmony. Request that eHarmony help us find one eHarmony reject, who could be coupled with one eHarmony sweetheart for example. These two characters, one male and one female, could become the sportscasters because they disagree on everything, have totally conflicting personalities, and their love lives could be subplots in the 4-on-4, full-court world. We could also go to Match.com. One set of two announcers might be young people. We might create conflict with them by getting an older person who loved ABA basketball, or loved the full-court run and gun basketball of the old days. Someone like Phil Jackson who says the three-point line has destroyed basketball. We know what he means, he's right, because in the old days it was full-court basketball all the time. The three-point line has slowed down the game. We are going to fix that by going 4-on-4, full-court. This old-timer will love seeing the mathematics of how 4-on-4, full-court returns the game to fast-break basketball. People once learned reading, riting, and rithmatic. This blog protects the intellectual property of playing 4-on-4, full-court basketball for a web series, TV show, TV game show, TV reality show, regular TV show, TV scripts, movie scripts, games, tournaments, actual 4-on-4 full-court games, social media, movies, and all other media. Clips of 4-on-4, full-court basketball will allow for a new way to advertise products. Indeed, this treatment and script will allow for much better ways to advertise products for businesses on social media, and other media, because the basketball highlights leading in will be spectacular. Have you been watching March madness? Did you see the Final Four? Basketball is really terrible now. The players run from 3-point line to 3-point line and pass around the outside and then they shoot a three-pointer. Boring! There is no more Phi Slama Jama, There is no more nonstop running and gunning. Fortunately, there is a fix to all the problems. What's that Willis? At least Gary Coleman as an actor would've said something like that. The answer lies in mathematics. The answer lies in Sabermetrics for basketball. The answer is to play 4-on-4 full-court instead of 5-on-5 full-court. That's how you bring the fast-break back, run and gun basketball, alley-oops, and dunks. Those are the thing everyone wants to see. I understand what you're talking about. We don't need a new XFL football league in 2020. We don't need a new Alliance of American Football League in 2019. What is ripe for disruption is basketball. Basketball is a worldwide sport and is growing. Football is only in the USA and it is slowly dying because of brain injury (chronic traumatic encephalopathy, CTE), meanwhile basketball is expanding all over the world. Yes, you're right! What we need right now is 4-on-4 full-court. The possibilities are endless as a reality TV show, a scripted TV show, a scripted reality show, televised games, a sports show, a new basketball league, a tournament, or tournaments, and a much faster and more entertaining game with better highlights. For a TV show about a new 4-on-4 full-court basketball league, You need some characters. And, we are the most charismatic sports fans around! We argue about everything. We clash. We have obstacles. We hate each other one day and we love each other the next. We can disagree on everything, and we can scream at each other. Character one: what do you love about basketball? Character 2: fast breaks great passes dunks and alley-oops. Character One: how can we get more of those? Character 2: Play 4 on 4 full court or three on three full court or two on two full court or one-on-one full court. Character one: have you been watching three-on-three half-court? That new league? Character 2: yes, a little bit, but not much, because they are everything I hate about basketball. It's old and slow and basically highlight free basketball. This is my continuing treatment - script - screenplay for 4-on-4 full-court basketball, 3-on-3 full-court basketball, 2-on-2 full-court basketball, or 1-on-1 full-court basketball. My intention is to make basketball more exciting again, with more fast breaks, dunks, great passes, amazing blocks, and so on. This treatment and script is for entertainment in any media, including a web series, TV show, TV series, TV reality show, regular TV show, basketball games, basketball leagues, 4-on-4 full-court games, 3-on-3 full-court games, 2-on-2 full-court games, or 1-on-1 full-court games, social media, movies and all other digital media or media yet to be invented. Clips of 4-on-4 or 3-on-3 full-court basketball will allow for a new way to advertise products. Indeed, this treatment and script will allow for better ways to advertise products for businesses on social media, and other media, because basketball is the number one sport on social media. Wanting 4-on-4 full-court and 3-on-3 full-court basketball is the result of studying basketball statistics, mathematics, and analytics since the invention of the 3-point line and comparing that information to earlier times. Everything on this blog www.4ballUSA.com is part of this ongoing treatment and or script for shows or games or any form of entertainment involving basketball. The main expression of this idea for entertainment involving basketball is playing with fewer than 5-on-5 players. Instead playing 4-on-4 full-court or 3-on-3 full-court, 2-on-2 full court, or even 1-on-1 full court. Another expression is using that concept to create a viable league or entertainment industry, or at least attempt to do so as part of a reality TV show or other entertainment. Expressions of this idea possibly include a reality TV show, a scripted TV show, games, tournaments, creating a basketball league, creating a traveling team, using basketball highlights in old and new ways for advertisers, the ability to create entertainment for various media channels as desired, the ability for any episode to be a complete game, or to be a mixture of reality TV and a game, or to be a mixture of reality TV and highlights, or to be a mixture of fictional or scripted entertainment with basketball, and so on. Another way to express the main idea is to have potentially many persons involved in any way be filmed. As noted, fictional events or characters can also be included. One plot device is playing basketball 4-on-4 full-court, or 3-on-3 full-court, to increase the number of fast-breaks and basketball highlights. The concept is to make the game more wide open so that more highlights can occur. With some tweaks, basketball can go from running from 3-point line to 3-point line to running full-court again. Another plot device/point that could be used is incorporating new technology such as software, cameras, social media, and things that involve the fans more than ever before. One episode, for example, can be about playing 5-on-5, then going to 4-on-4, then going to 3-on-3, then going to 2-on-2, then going to 1-on-1. Basketball highlights are enjoyable. There seems to be an insatiable demand for more of them. They can be put at the beginning and ending of every episode. They can be used throughout the episodes as transitions. There can be a mixture of reality highlights about people and their lives with basketball highlights. Have an episode or episodes about 4-on-4 full-court basketball. The dialogue can be about or between those who are for 4-on-4 full-court arguing or discussing with those who are against 4-on-4 full-court. There are many excellent issues. Discuss the history of basketball and how changes have affected the game. Have an episode or episodes about 3-on-3 full-court basketball. Discuss the pros and cons. Discuss the history of basketball and how changes have affected the game. Episodes can vary from being more about playing the games to more about the people who were involved in 4 on 4 basketball or 3-on-3 basketball. It will be interesting to see the ratio of which is more popular, more focus on the people's personal lives or more focus on the games themselves. It is very difficult to create a basketball league. This will create many obstacles and difficulties that will have to be overcome by the characters. All of these events can be filmed as part of reality television or real life drama. Overcoming these obstacles can be scripted or unscripted. It’s a story about people and players and basketball. People and players have to collaborate to create a television show, movie, or web show about playing basketball 4-on-4 full-court or 3-on-3 full-court. People have to step up to be the director, producer, actors when and if necessary, lawyers, owners, managers, coaches, professional players, retired NBA players, college players, former college players, high school players, former high school players, street ballplayers, and so on. Charismatic and interesting people! Remember, camera work can make people more interesting. People who start the whole thing might be able to be primary characters. Actors when necessary, mixed reality and mixed fiction sometimes. Charismatic and interesting people! Remember, this show can be a commercial for some businesses and corporations, so they may be motivated to participate. Real life can be full of obstacles with all the secondary participants who are needed to overcome those obstacles. Work the advertisers into the shows as much as possible. Makers of basketballs. Makers of tennis shoes. Makers of sportswear. Creators of software. Social media people and people involved in sharing videos on social media. Many people are creating better software for sporting events. Many people are creating smart phone applications for sporting events. Many new ways are being developed to film sporting events. Almost everyone has a smart phone camera. Cameras can be positioned in new locations around any sporting event. The events or the event highlights can be shared online, or via smart phone applications. Anything that can be done to increase sharing and re-sharing on social media is a good idea. A lot goes into mounting cameras on baskets, on bank boards, even on the basketball rim. There are cameras that go on rails, or wires, above basketball courts that can film the action. Drones with cameras can be used. People who do these things can be primary characters or secondary characters. Talk about NBA players, their salaries, and other things about them. Same about the current college basketball players. Dip into talking about high school sometimes. Talk about the basketball draft. Talk about college signing day. Remember the human drama of medical issues. There are all kinds of medical issues that are specific to basketball, or occur frequently in basketball, or just happen for whatever reason to human beings, including their extended families. Take the audience through medical issues, meeting doctors, traveling to clinics or hospitals. Talk about cutting edge treatments like stem cells, platelet rich plasma, tendon cells, and so on. Trying to patent the idea and copyright issues. "We may not have time to practice." Often use highlights throughout the reality TV show. Often use highlights throughout any show, whether it is a full game, whether it is a full reality episode, whether it is a fictional episode, or whether it is a mixture. The entire project can be bootstrapped. "That's too much," should be a recurring line of dialogue. Discuss ways to keep the budget down. "How about one NBA player, or ex-NBA player per team?" Pay for the games on Saturday or Sunday only? Perhaps play the games in high school gyms that are not being used. Connect with one of the startups doing league management? Connect with one of the startups doing sports highlights for local leagues? One expression of this whole idea would simply be to create one team and have that team be a traveling team that goes around playing local teams all over. They might play the local high school stars or ex-high school stars for example. Another idea would be to have one excellent player be in charge and organize each team. That would sorta be their team, as they could be the owner, manager, and captain, or any combination. Perhaps the main character is the first person to ever appear on camera, or perhaps that person will turn into one of the main characters. One opening scene idea is to have an amazing basketball highlight, followed by an intriguing person talking one-on-one to the audience about how and why he or she is going to accomplish all this. Basketball tryouts can be turned into scenes. Basketball warmups can be turned into scenes and highlights. Everything that is narrative in this ongoing blog, www.4ballUSA.com, can be turned into dialogue. 4ballUSA™ Basketball the Way It Should Be! This blog is a continuing treatment and script for 4-on-4, full-court basketball. This blog's intention is to make basketball more exciting again, with more fast breaks, dunks, great passes, and blocks. This blog protects the intellectual property of playing 4-on-4, full-court basketball for a web series, TV show, TV game show, TV reality show, regular TV show, games, actual 4-on-4 full-court games, social media, movies and all other media. Clips of 4-on-4, full-court basketball will allow for a new way to advertise products. Indeed, this treatment and script will allow for better ways to advertise products for businesses on social media, and other media, that will be spectacular. Wanting 4-on-4, full-court basketball is the result of studying basketball analytics since the invention of the 3 point line. A character calls a meeting with his colleagues. Everyone at the meeting sets up their cell phone, or some other camera, to video-record themselves. Later all this material will be edited and digested down into an episode, or episodes. "What you like most about basketball?" "What style of basketball do you like the most?" "How many billions of dollars does the NBA make every year?" "Why is the NBA a monopoly?" "How many players want to play in the NBA but are good enough to play in the NBA?" "Why is it that almost no players have any ownership at all in the NBA?" "What is the most popular sport on social media?" "Do you remember the American basketball Association?" "Do you remember Julius Irving, known as Dr. J?" "Do you remember how they used to play basketball in the ABA?" "Do you remember how many points they used to score per game in the ABA?" "Do you remember Phi Slama Jama?" "Do you know that Phi Slama Jama is now trademarked by the University of Houston?" "Do you remember Magic Time basketball? The kind of basketball inspired by Magic Johnson?" "Do you remember Showtime basketball?" "Can any of you dunk a basketball?" "Do any of you know any players that can dunk a basketball?" "Do any of you know any great basketball players?" "Do you know any great shooters?" This show can use transitions between scenes that are made up of basketball plays. The show can use a shot of a basketball being passed into the camera as a transition. Players dunking can form the transitions. Players blocking shots can form the transitions. Players sinking three-pointers can make the transitions. A ball spinning on a finger can be used as the transition to begin, or between scenes. A player blocking a shot by pinning it to the backboard can be used as a transition. An alley-oop can be used as a transition. Pretty much any player can be used to create these transitions. Slow-motion shots of a basketball being dribbled can be used. All kinds of amazing camera work can be used to create transitions. The more talented the player the more creative these transitions can become. "Would you play 4-on-4, full-court basketball?" It will be great to get reactions both positive, and, especially the negative ones! It will be very revealing what this character finds out. People are so brainwashed about playing 5-on-5 that 4-on-4, full-court will seem very strange at first. Some of the stuff people say will be TV gold. The reality TV show could start off as a web video TV series. It's interesting that the most popular YouTube videos go in length from less than a minute to about 9 minutes. A 30 minute television show is usually about 22 minutes. A 60 minute television show is about 44 minutes. This means that if the scenes are edited to the proper length they can be perfect for a web TV series, a 30 minute television show, or a 60 minute television show. A character calls a meeting and talks about Sabermetrics. The history of Sabermetrics is fascinating. It would be great to film the original inventor of Sabermetrics. It would be great to follow Sabermetrics from baseball, to the book about Sabermetrics, to the movie about Sabermetrics starring Brad Pitt. Sabermetrics should also be followed to Darrell Morey. Darrell Morey graduated from Northwestern University. Darrell Morey is also now in charge of the Houston Rockets. He is using analytics to build basketball teams for the Houston Rockets. One of the characters should explore all of this and get it recorded. The main character should drive the point home over and over again that there is an oversupply of great players today! There are all kinds of fantastic players that cannot play in the NBA. All of these players could play in a 4-on-4, full-court basketball league. This league could have far more highlights than the NBA. The 4-on-4, full-court basketball league could employ all kinds of basketball players that cannot find employment today! They can go after a shoe company that can afford to be sponsored by the NBA. They can go after clothing companies. They can go after rich retired NBA players! They can go after NBA players who want to be entrepreneurs. One character creates a great scene, or scenes, by going to a basketball court. The court has players playing pickup basketball. Or perhaps players getting ready to play pickup basketball. He starts talking about playing 4-on-4, full-court basketball. There is all kinds of blowback! People think the character is crazy. People give all kinds of reasons why it can't be done. These become obstacles that become part of the story of 4-on-4, full-court basketball. A character tries to pursue getting ABA highlights. He records the entire process. The same character tries to get NBA highlights, college basketball highlights, and high school basketball highlights. The process of pursuing these highlights all is recorded and becomes part of the show. If nothing else, this character should be able to achieve getting "street ball" highlights. This essay is part of the continuing treatment for 4-on-4, full-court basketball as a web series, reality TV show, regular TV show, movie, or book, or any other form of entertainment in any media. Copyright© 2016 Bradley R. Hennenfent, M.D. all rights reserved. The main character works all of this dialogue into the episode. "Have you heard of the movie Moneyball? It's about Sabermetrics in baseball. It stars Brad Pitt. It's an excellent movie and the book is spectacular as well." "There is clearly an opportunity in basketball when you look at the statistics to create a reality TV show, movie, and a brand-new business." 3. The most fun basketball for fans is Phi Slama Jama! 4. 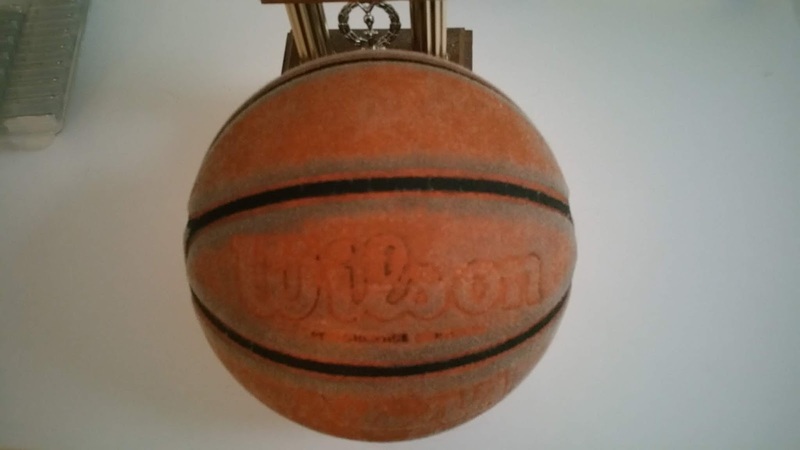 The most fun basketball for fans is "Dr. J." style run and gun! 5. The most fun basketball for fans is Magic Johnson style magic time! 6. The most fun basketball for fans is Showtime by the Los Angeles Lakers! "You have probably heard coach Phil Jackson or coach Greg Popovich complain that the 3 point line has ruined basketball. If you look at the statistics, they are correct. The run and gun basketball game has been destroyed. Players now mostly run from 3 point line to 3 point line, and shoot 3 pointers." "The run and gun style of basketball has disappeared for the most part." "Today, there is not as many fast breaks." "There are not as many spectacular passes." "There are not as many dunks." "There are not as many blocks where the ball is pinned to the backboard." "Mathematically, there is a solution to all of these issues. Find a group of players willing to play 4-on-4, full-court. Mathematically, this creates more room for the players and will create the run and gun style of basketball again. LeBron James can be stopped 5-on-5, because of the lack of space on the court, but he can't be stopped 4-on-4." "Kobe Bryant can be stopped 5-on-5, because of lack of space on the court, but he can't be stopped 4-on-4." "Any retired NBA player could start a brand-new basketball league owned by retired NBA players who want to play 4-on-4. This would create far more highlights than the NBA games do today." 1. Find some players. They have to be good enough to dunk. Fortunately, there is a huge excess of players today that are that talented, but can't get into the NBA. 2. Hook up with a company that is doing basketball league scheduling using a cell phone app. 3. Hook up a company that is doing sports highlights using a cell phone app. 6. Start creating the reality show from day one. Film all 6 of the things above as they are being done. Is LeBron James the Greatest Basketball Player of all time (GOAT)? LeBron James, Dwayne Wade, Carmelo Anthony, and Chris Paul can all be on the same team!